J. Marcus Ritchie founded The Festival Singers of Atlanta in 1981. Ritchie (1946-1989) was the organist/choirmaster at St. Philip’s Cathedral in Atlanta. Several of the original FSA singers were members of the Cathedral choir, including Dale Roper, Linda Black, and George Gallaway. Ritchie left Atlanta in 1987 to become the Music Director of St. Paul’s Parish in Washington, DC. There is a memorial fund at St. Paul’s used to support musical events such as recitals, concerts, and special services. Elaine Shaver, an alto in the group, took the reigns as director after Marcus left Atlanta. Rehearsals continued at the Church of the Immaculate Conception in downtown Atlanta. Shaver left the group in 1989. N. Lee Orr is a professional musicologist, organist, conductor, and clinician. He served on the faculty at Georgia State University and served as director following Shaver’s departure. Dr. Orr is one of the leading scholars in American Choral Music. Following Orr’s departure, chorus member John Stephens led the chorus for an interim term. Patrick Hagan (1966-2014) took the helm for the 1989-1990 season. Hagan was the organist/choir master at Episcopal Church of the Epiphany, thus beginning our long association with this church. He earned a BA from Kennesaw State University. He served churches in Jacksonville, FL, Atlanta, GA, and Nashua NH. Jamie Shiell served as the Music Director from 2010 to 2012. He holds undergraduate and graduate degrees in sacred music, organ, and conducting from Westminster Choir College. Shiell was the organist/choir master at Church of the Epiphany at the time he became director. He left to take a job in New Jersey. Jamie currently lives in Decatur, GA.
Jane F. Burke (1956-2014) served as music director of the Festival Singers of Atlanta from 1996 to 2010 and 2012-2014. Under her direction, the chorus performed not only in the Atlanta area but also performed many years at Piccolo Spoleto. She completed her undergraduate degree in speech communications with minors in music and theater at the University of Tennessee. She completed a Master of Sacred Music degree at Emory University in Atlanta. She also served as Minister of Music for Chamblee United Methodist Church, Saint Mark United Methodist Church and McKendree United Methodist Church, all in the Atlanta area. The current Music Director is Keith H. Walker. Keith sang with Festival Singers from 2000 to 2004 when he left Atlanta to join the faculty of Darton State College in Albany, Georgia. After completing his Doctor of Musical Arts in 2013, Keith rejoined Festival Singers in the bass section. He took over as Interim Music Director for the 2014-15 season and became the Music Director in the Spring 2015. Keith also holds a Bachelor of Music in Vocal Performance from Augusta University in Augusta, Georgia and a Master of Music in Vocal Performance from the University of Missouri in Columbia, Missouri. Keith is currently the Director of Music Ministries at Northside Drive Baptist Church. 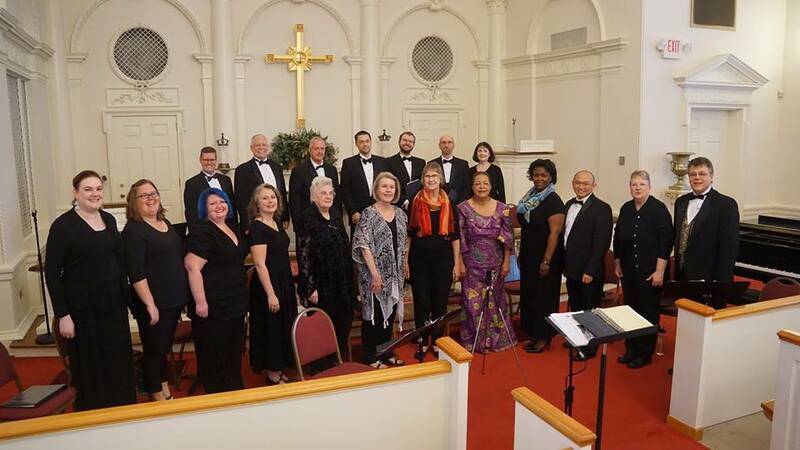 The Festival Singers have performed for the Piccolo Spoleto Festival in Charleston, SC and for the Georgia chapter of the American Choral Directors Association. The group has performed numerous concerts around metro Atlanta since it was founded in 1981. The Festival Singers specialize in presenting a cappella music from the Renaissance and Baroque periods as well as choral music of the 20th and 21st centuries. The Festival Singers received an invitation to participate in a combined concert at Carnegie Hall in association with Distinguished Concerts International New York (DCINY) for a January 2017 concert.